Everything sweet turned a hi-hat cupcake into a festive and fun Christmas tree cupcake. The kids would love getting to decorate their own edible Christmas tree. And if you are throwing a Christmas party, these treats would be a crowd favorite. 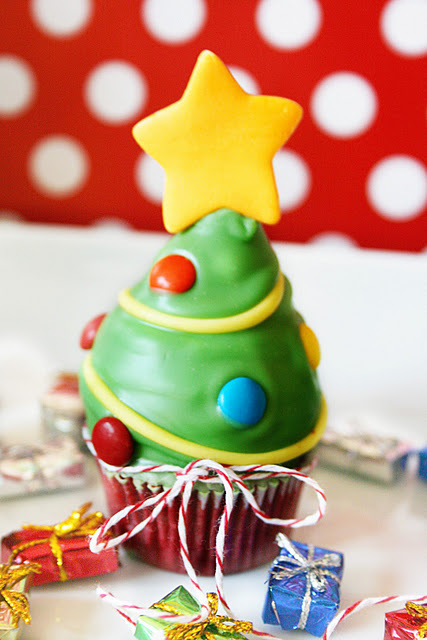 You can see the hi-hat Christmas tree cupcake tutorial over at Shindig Parties To Go.